Let's be honest: your decision to eat copious amounts of chocolate doesn't hinge on how it affects your health. However, it's always exciting to see studies confirm that your crippling chocolate addiction might just come with some significant health benefits, and fortunately, new research suggests exactly that. 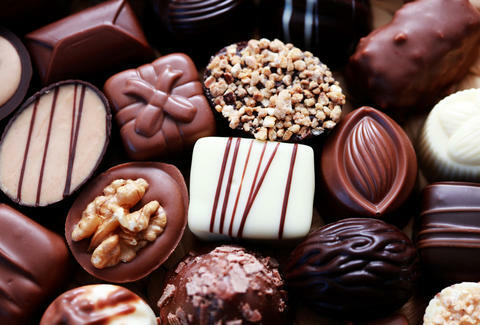 Chocolate, as it turns out, is great for your brain. A new study published in the journal Appetite finds that regularly eating chocolate is "positively associated" with cognitive performance extensively measured by several neuropsychological tests. As explained in a report by Food & Wine, researchers discovered that habitual chocolate is "significantly associated with better performance on [cognitive tests including] visual-spatial memory and [organization], working memory, scanning and tracking, abstract reasoning, and the mini-mental state examination." Simply put, it helps your brain work better. How? The study suggests the badass brain benefits come from cocoa flavanols and flavonoids found in chocolate, but mostly in dark chocolate. Researchers used data from Maine-Syracuse Longitudinal Study (MSLS), measuring the diets of 968 people ages 23-98 as well as their cognitive function and cardiovascular health. Previous studies have linked flavonoids in chocolate to reduced risk of heart disease and stroke, which means there are potentially numerous benefits to biting into a nice, big bar of the sweet (or bitter, if you're into that) stuff. OK, so maybe the health implications might influence your chocolate intake after all. And by that, we mean increase it. Tony Merevick is Cities News Editor at Thrillist and loves food science like this. Send news tips to news@thrillist.com and follow him on Twitter @tonymerevick.